We thought we had seen any pattern and color combination ever inventoried on a necktie. 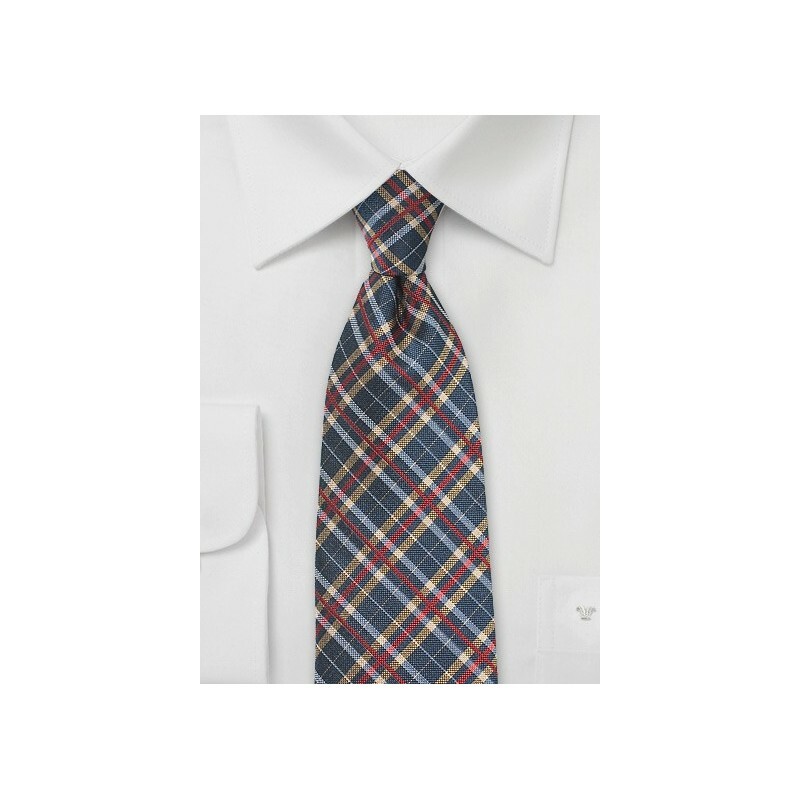 Well, necktie designer Parsley proved us wrong with their new tartan plaids. The designer took a classic tartan plaid and combined it with a very unusual color combination. 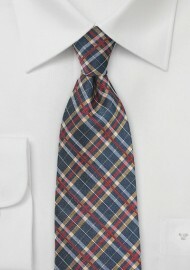 The dark navy background on this tie is paired with a bright red and festive gold tartan check. It is truly a stunning color combo that looks fantastic with all your classic menswear pieces. This tie is also available as a matching bow tie as well as pocket square.